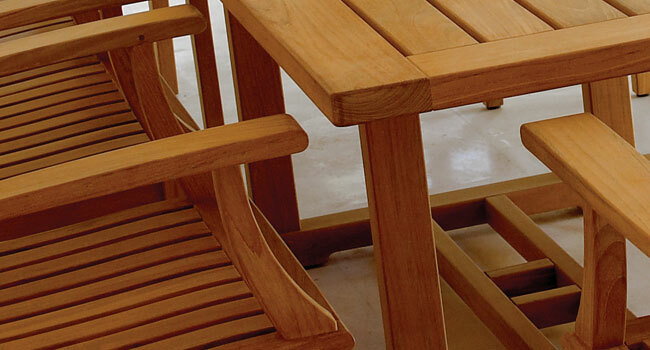 Teak is valuable both for its elegance and its durability. Beyond its beauty, it also possesses some natural properties that other woods don’t have. Since the best wood furniture made from teak comes from mature trees, it can take around 80 years before a teak tree planted today is harvested for wood. Because of this, and because teak is such an excellent wood material, old teak is often reclaimed — for example, from old structures slated to be torn down — and given new life as furniture.